Raid DIY Expert Automatic Advanced Indoor Primary provides continuous protection against flying and crawling insect indoors. The commercial strength formula is fragrance free, formulated from natural pyrethrins extracted from chrysanthemum daises. 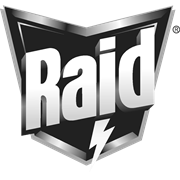 Using the set and forget 12 and 24 hour timer feature means effortless and continuous protection for your home and one refill can last up to 15 weeks on 12 hour setting. 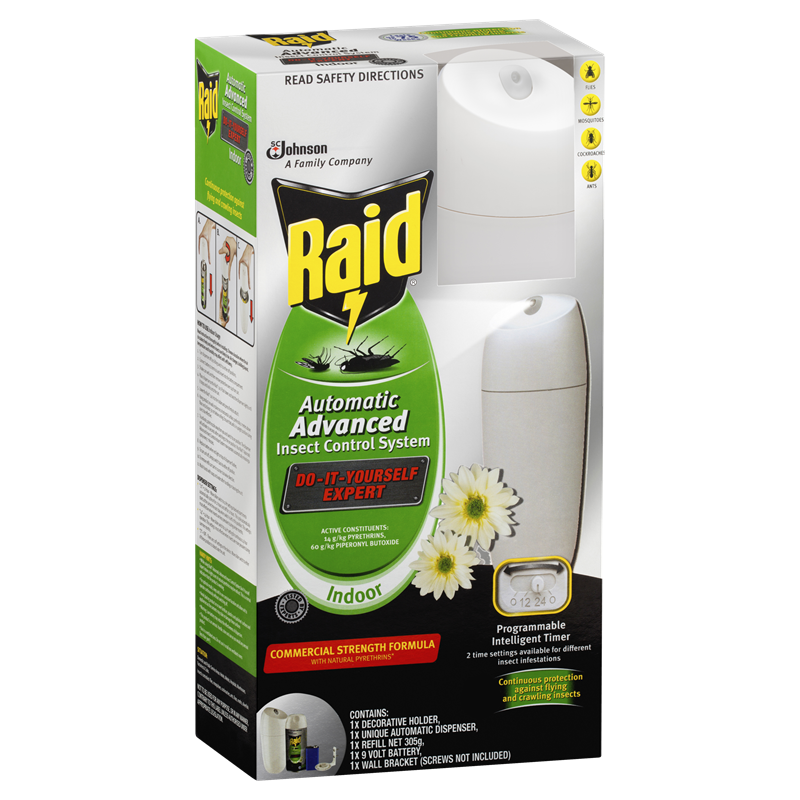 The Raid unique automatic dispenser uses advanced MicroMist technology which creates a mist of incredibly fine micro particles to eliminate insects. Because it’s a mist, not a spray, it stays in the air longer, and is more easily spread throughout your whole room.